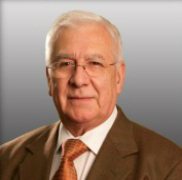 Carlos J. Ruiz, M.D., F.A.C.P. was the first infectious disease specialist in Orlando in 1973, and he is also the founding physician of IDC.Dr. Ruiz received his medical degree from the National University of Colombia. After completing his Internal Medicine Residency in Cleveland, OH, he did his Infectious Disease Fellowship at Jackson Memorial Hospital in Miami, FL. Dr. Ruiz is also certified in Wound Care and Hyperbaric Medicine. He is a Fellow of the American College of Physicians, and has served as Florida Hospital Orlando Medical Staff President. He has also served as chairman of numerous hospital committees. Dr. Ruiz is a member of the American College of Physicians, the Infectious Disease Society of America and the Florida Infectious Disease Society.